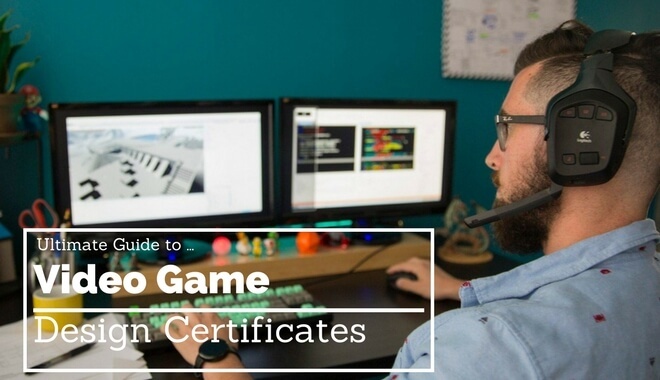 A video game design certificate is typically awarded to students who complete a 1- or 2-year intensive program on game design. A video game design certificate program is designed to prepare students for entry-level positions in the game industry. Certificate programs are offered at many universities and colleges, but every program will be different. Now, there are times when a video game design certificate program might make sense for you. There are also times when it won’t make sense. There are a number of factors that go into this. So let’s talk about it. Will a Video Game Design Certificate Help? There are times when people have succeeded with video game design certificates. But they’re not a crutch. A certificate is not a Willy Wonka golden ticket. It’s not a “get a job free” card—Not by a longshot. Depending on where you go, you could really benefit from the program. Choosing where to get your certificate might not feel like as big of a decision as choosing where to get a degree—but you shouldn’t make the choice lightly. This is your opportunity to spend a year or two learning the ropes, building your skills, and dumping all of your free time into game design. If you can reach out to alumni directly, that’s even better than reading reviews on the program’s website. They’re going to cherry pick their testimonials, and only feature ones that make them look appealing. Offer to buy an alumni in the area coffee in exchange for picking her brain about the program—that’s way more valuable than the program’s website. Check on Reddit. Email a professor and ask to meet him. Attend this semester’s capstone showcase. Do your research. If you find the perfect program and capitalize on it, doors might open for you. Related: Do You Need a Degree to Become a Game Designer? 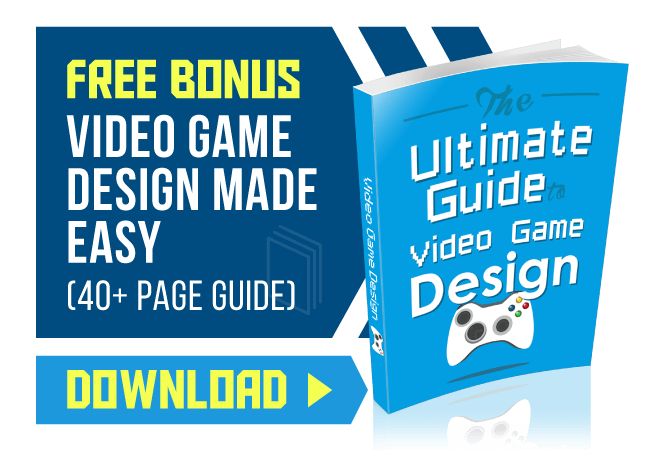 You don’t need a video game design certificate. The majority of people in the gaming industry right now do not have a certificate (or a degree) in game design. Because the “game design” education program is still new. This might change over time, but right now a piece of paper saying you’re a game designer doesn’t mean much to people in the industry. Your education won’t be the deciding factor for many hiring managers. What Hiring Managers Actually Think? Reddit is a treasure trove of informal advice from people currently in the industry—including hiring managers. So, we dove in—advice from the people that do the hiring (rather than the marketing team for the universities out there) is worth paying attention to. Also, everybody is different, including hiring managers. Listen to their advice below, digest it, think about it, and then mix it into everything else you know before making a decision. Take opinions with grains of salt—they are not the only answer, but sometimes people say opinions like they’re facts. This information is all just part of the puzzle. Redditor Songload is “a professional game developer who has influence over hiring” and if he sees “two resumes where one has an undergraduate degree in game design and designer credit on several projects listed, and one has an undergraduate degree in literally anything else and designer credit on several projects listed, I will always pick the person without the game design degree. Again, just one person’s opinion—but if you spend enough time on these forums you’ll quickly see that certificates and degrees in game design do not guarantee placement in a job. At the end of the day, they’re just pieces of paper. “ALL of higher end gaming education colleges carefully review relevant portfolios of students before they are extended offers to join the programs. Ok—so it sounds like there’s some truth in there. But as a hiring manager who doesn’t spend any time on “terrible colleges”…how could he know what a school does or doesn’t do for their students? But he does bring up a very interesting point. If the stricter colleges accept your portfolio over hundreds of others…would a game design company also accept your portfolio submission over other submissions? According to GameDevThrowaway99, there’s one thing that will separate you from your competition (and it doesn’t matter if you have a certificates or degrees in game design). The portfolios we review out of game colleges all end up as identical junk…so the people that get the jobs are the ones that have something unique in their portfolio. Something that shows a desire to actually make games, not just the ability to follow instructions and earn a piece of paper.” (emphasis is ours). Some programs are tens of thousands of dollars for a year (or less) of certificate program training. The New York Film School offers a game design certificate program. It’s a one-year program with a tuition price tag of $31,020 (not including the $2,068 lab fee). It’s less than four years at the New York Film School… but it’s still a substantial amount of money. If you’ve never taken out loans and paid back debt on that scale, it can be hard to imagine how frustrating it is. The internet is crazy because it’s made it easier than ever to learn how to do…well…anything! And that includes skills like game design, game development, and game programming. The reality is, some of the best options are available to you for much less money than a certificate program costs. Investing in yourself is never a bad idea, but neither is being smart about those investments. If getting a certificate isn’t the differentiator, and you need to do projects in your free time to stand out from your classmates anyway, it’s worth exploring other options. With that in mind, we’ll show you to some bread crumb trails. YouTube has how-to’s and tutorials on just about anything you could want (like this 87 video playlist on Game Design from Extra Credits). Game engines, 3D modeling, sketching, how to sit properly—it’s ALL on there. Download a free game engine (like Stencyl) and start messing around. Or watch the tutorials first. Use Google when you get stuck. Try Unity when you’re feeling brave and excited. Unreal also provides tutorials on its website. If you’re thinking too big to design your first game, try modding with AAA assets instead. You can mod your favorite games. The mod community is talented, creative, and helpful. Those are all steps you can take right now. You can close this article, type one of those tips into Google, and be on your way to becoming a game designer. A paper saying you’re a game designer won’t be enough to convince your potential employers. You need to put your time and creative energy into building your own games. Start working on your portfolio. Start with simple games that are fun to play. Work your way up. You don’t need to spend hours applying and tens of thousands of dollars in tuition fees—you can start with a 4.99 ebook and a pencil and paper. You don’t need a game design certificate (or a game design degree) to be successful in the industry. You need drive, you need passion, and you need talent. Are you still excited about designing games? 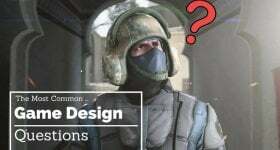 How Hard is It to Become a Game Designer? What Are the Best Video Game Design Colleges?